Home « Atacs Products Inc.
ATACS is the original aerospace source for development of specialized Composite Repair Systems supporting the creative professionals dealing with repair and maintenance challenges on commercial aircraft fuselages and other structures. Atacs is proud of it's 40 plus years of engineering, distribution and service in this niche market. Operator configurable, Flex-zone technology allows for dual or single-zone operation with up to 20 T/Cs per zone. Ultra-fast cure adhesive and sandable aerodynamic smother with excellent adhesion and chemical resistance. 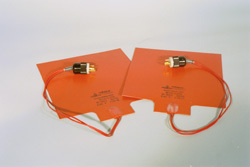 Flexible heaters in a variety of sizes and wattages for composite and metal structure repair. 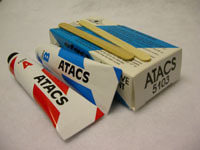 ATACS is an acronym for Advanced Technology in Adhesives, Coatings, and Sealants. 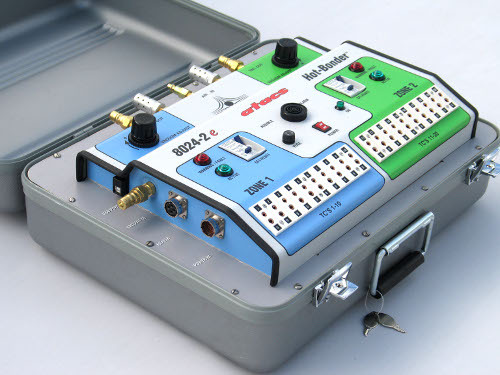 ATACS, utilizing expertise in the general resins industry, has introduced many products to the aerospace industry. ATACS 5103 is an example known for 30 years worldwide as the highest quality epoxy adhesive and aerodynamic smoother available.